Golden Girls fans have a new piece of kitschy memorabilia to add to their collections. 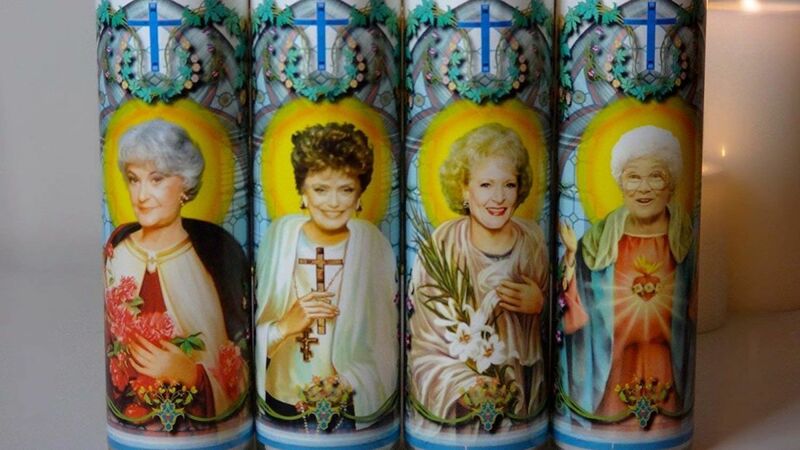 These prayer candles, featuring all four of the leading ladies, make the perfect gift for devoted followers of the show. The set comes with four candles depicting each of the Girls: Blanche, Rose, Dorothy, and Sophia. Standing 8 inches tall, they come with enough wax to burn for 100 hours. The pack of four is available for a total price of $55 on Amazon. Shopping for the Golden Girls fan in your life should be easy this holiday season. If pop culture prayer candles aren't their thing, you could buy them action figures, board games, or even cereal inspired by the beloved sitcom. And if they'd appreciate something even more offbeat, zombie Golden Girls prayer candles are available on Etsy.